BIG BLUE WAVE: Why Would You Investigate Babies Dying After Abortion? Why Would You Investigate Babies Dying After Abortion? The Pedgehog doesn't get it! Why in the world would you investigate the deaths of babies, i.e. persons after abortion? If a conscious and viable baby is left to die in a bedpan with no medical care, so what! Equal rights? That's just for women. They're a little more equal than others, especially babies. Moral obligations and responsibilities, they only exist if you want them. Never mind that there is no attempt here to differentiate between the intent of a murderer and a doctor performing their (legal!) job. The intent? To kill an innocent human being because they're inconvenient. Couldn't be any more different! Clearly, she's never heard of the Born Alive Rule: if the baby sustains injuries in the womb after being born alive, the person who causes those injuries could be liable. Yeah total lack of empathy! If a woman doesn't want to parent her child, the child deserves no empathy. What are we thinking? or the strain and emotional toll that situation can take on women and families. Because feelings are way more important than a newborn person's life and human rights. Oh, by the way, third trimester abortions are performed for non-medical reasons in Canada. 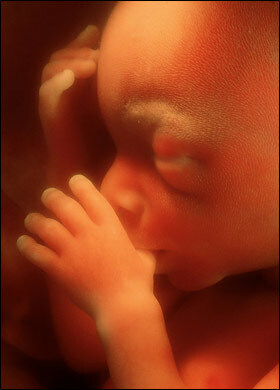 She wonders how these babies could come out alive as late-term abortions are done by partial birth abortion. Except late-term abortions are not done by partial birth abortion in Canada. Believe me, I've looked. It's not impossible that the odd procedure has been tried, but when you understand the genesis of partial birth abortion and why it was invented you'll understand why they're not done. Partial Birth Abortion was a method intended to be performed in clinics. It was to make sure that the babies did not come out alive so that there were no "dreaded complications" i.e. liveborn babies because the clinics were not equipped to take care of them. In most of the world, late-term abortion is done by prostaglandins. The medical personnel administer prostaglandins to induce delivery, making sure that the dose is strong enough so that the contractions will kill the baby. You can always tell a baby who was killed by prostaglandin abortion because their skin is bruised to black. Now the pesky thing about prostaglandin abortions, is that a small number of babies survive. Many of these babies are left to die unattended in bedpans, but I couldn't tell you what percentage. There are even babies who have been known to survive late-term abortion such as Gianna Jensen and Melissa Ohden, (but these weren't necessarily straightforward prostaglandin abortions-- Gianna's case involved a saline abortion). Abortionists have invented a number of ways to get around this problem, the most common being the injection of digoxin or potassium chloride into the fetus, usually the heart. Of course, abortionists don't like doing this, as they need the ultrasound machine to do it, and they face their victim, so to speak. And it's pretty hard to stick a needle into a squirming baby. It takes some skill and practice. But that method has its risks as well, because there's a chance the mother might absorb those drugs into her system, and that could cause a problem. Of course, since it's difficult to perform an injection on a fetus's heart-- which is 100% fatal, so abortionists aim for the umbilical cord or they inject the lethal product into the amniotic sac. This method is not 100% fatal-- so babies are born after this method as well. And if babies are stuck with a needle, poisoned with potassium chloride, bruised though the delivery process, born live, left to suffer in a cold bedpan and die of neglect, what's that to feminists? As long as women are empowered, that's the important thing, even at the cost of another baby's life and rights. Upholding the rights of those babies, that's so bull****! They have no understanding of what doctors do - I'm sure they picture docs pulling adorable children out of women and stabbing them on the operating table. They have no understanding of the law in Canada. They are, frankly, stupid. Yeah, we're all so stupid that I knew all this and you, working in the abortion field, didn't.